Fred Zinnemann's last great movie. 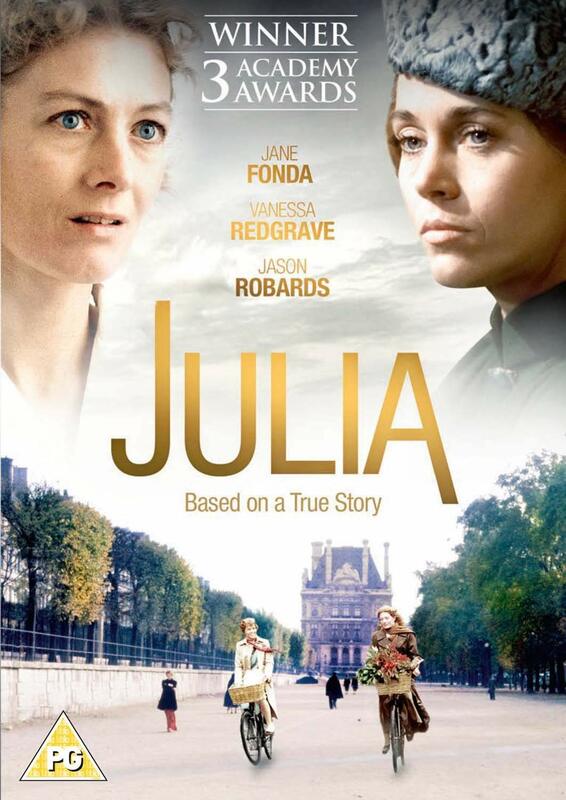 Based on part of Lillian Hellman's memoir, the film stars Jane Fonda as Hellman as she recounts her friendship with the enigmatic JULIA, played by Vanessa Redgrave. Fonda gives a gutsy performance, playing well with Redgrave and, to a greater degree, Jason Robards, who plays Dashell Hammett. Alvin Sargent's screenplay cleverly bends time, jumping back and forth as the story of Hellman's friendship with Julia is told and Zinnemann creates a melancholy feel that's sustained throughout. The excellent music by Georges Delerue is haunting and the cinematography by Douglas Slocombe is beautiful. The supporting cast features Meryl Streep as Anne Marie, Maximillian Schell as Johann, Cathleen Nesbitt as Julia's grandmother, Rosemary Murphy as Dorothy Parker and Hal Holbrook as Parker's husband Alan Campbell.